Movement and change, two important topics involved in studying nature, are found in all aspects of ocean ecology: the tidal level, the height of waves, currents, water temperature, and salinity. By using math to study these changes, students can discover meaningful natural patterns that exist in their environment. •Consider the earth as a contained environment. 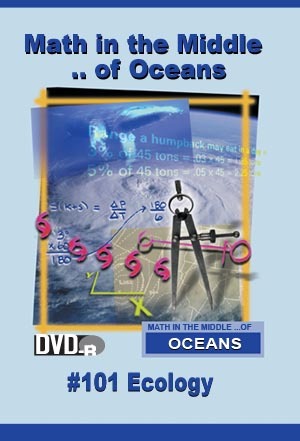 •Understand that math is necessary to follow change over time, by using the ocean as an example. •Monitor an aquarium in the same way the Earth’s environment is monitored.